Matthew Heineman is an Academy Award-nominated and Emmy Award-winning filmmaker who has twice won the Outstanding Directorial Achievement in Documentary Award from the Directors Guild of America, one of only three directors to win the prestigious honor twice. His two DGA wins, City of Ghosts and Cartel Land, both premiered at the Sundance Film Festival and won the Courage Under Fire Award from the International Documentary Association. City of Ghosts was nominated for a BAFTA Award, PGA Award, and a Primetime Emmy Award. Cartel Land was nominated for an Academy Award for Best Documentary Feature, won three Primetime Emmy Awards and the George Polk Award in Journalism. At Sundance, Heineman won the Best Director Award and Special Jury Prize for Cinematography. Heineman recently directed and executive produced The Trade, a docu-series that also premiered at the Sundance Film Festival. Previously, Heineman co-directed and produced the Emmy-nominated documentary Escape Fire: The Fight to Rescue American Healthcare. 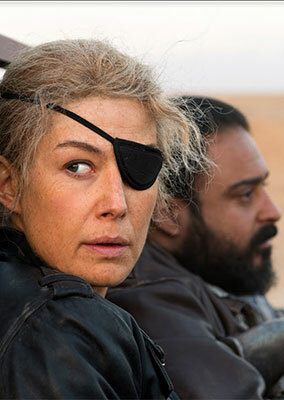 A Private War is Heineman's debut fiction film.